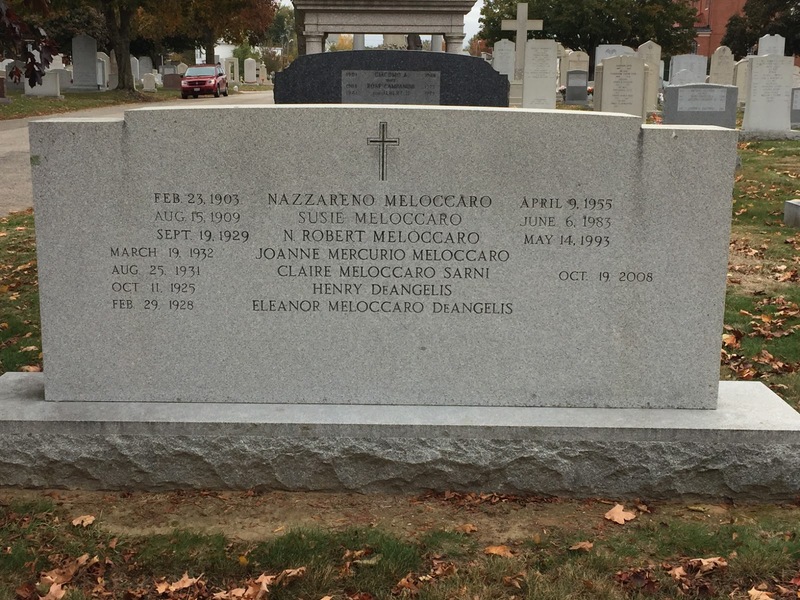 Last year, I wrote a blog post about the man who built my neighborhood and the nearby shopping center and homes in Garden City in Cranston, RI. I put in a request at Find-a-Grave for the gravestone of Nazarreno Meloccaro and was delighted to see this fulfilled and that when I asked, I was given permission to use them in my blog. Working with post 1940 census records can be quite limiting. The release of the 1950 census on 1 April 2022 seems a long way off. 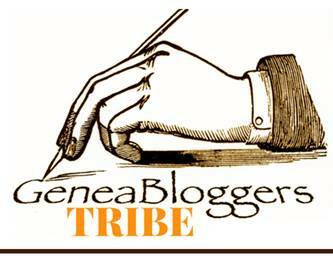 For many of us baby-boomers, it will be the first census in which we are listed. Until then, we have to be satisfied with 1950 "census substitutes" like city directories, newspaper articles and obituaries. Unfortunately for Rhode Islanders, The Providence Journal newspaper wants $$$ for a look at newspaper articles and obituaries. Newspaper Web sites can also cost a lot of money to subscribe to and they don't cover what I need because The Providence Journal is the biggest newspaper in my home state and this newspaper is not part of any collection. This is why photographing contemporary gravestones and making them available at Find-a-Grave is important. Since I moved here 5 years ago, I have noticed that old New England graveyards are now finally well photographed. What ISN'T being done is photographing contemporary gravestones in non-sectarian and large Catholic Cemeteries like this one. Every gravestone photographer wants the oldest gravestones in their family photographed. I was lucky in that when I first started photographing gravestones, I was told to photograph as many gravestones, regardless of surname or age, as I could in one plot or section. It has paid off many times. This large granite marker with the family surname on the front often rewards us with names and dates on the reverse side. As this man did not come to America with his parents (but with an "aunt"), and seeing no online family tree for him, this may be the only information on his children that I can find. He was quite a colorful person as a successful immigrant, I thought it would be interesting to learn more about him, through his family. 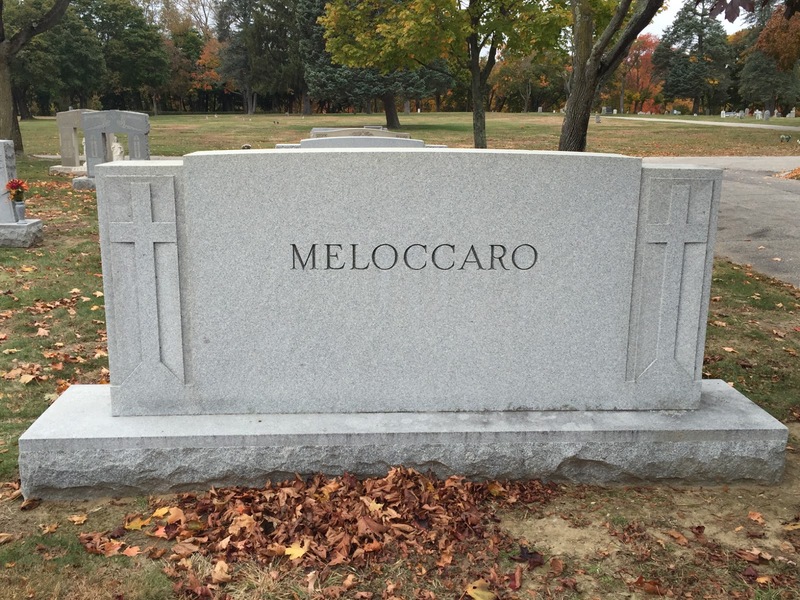 Mr. Meloccaro was only seventeen years old on his passenger record. The Reading (MA) Eagle ran a small news article (23 Jan 1951) about the early career of this man. After coming to American he worked as a carpenter and a foreman. Of course, the census only tells us that he was a labourer and a building contractor. But, the fact remains that after only 3 years as an immigrant he began his own business. The Business City Directories for Providence and Cranston Rhode Island lists the names of his two businesses as Rhode Island Home Builders and Garden City Builders. Last summer, I took some photos in Garden City to add to my personal timeline. One was of the Masonic Temple where I was a Rainbow Girl. I could only take a full shot from across the street. That street I stood on is named Wayside Drive. 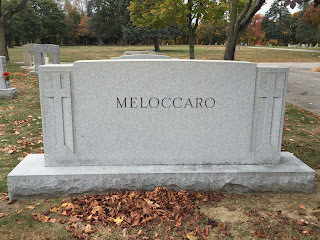 As I turned around to get back in the car, I admired the nearby brick house and amazingly enough, I have now learned that it was the Melocarro home. Genealogy research can really have some strange twists!